You definitely want to meet Lisa Penny, Mary Crane’s Director of Partner Sites! Lisa is celebrating her 20th anniversary with Mary Crane in May this year, and Mary Crane and our families are so fortunate she is here! In May 1999, Lisa worked as a parent volunteer while both of her children attended the Lathrop/North site in West Lakeview. After Lisa’s amazing volunteer work, not to mention her fabulous smile, she was hired as a Teacher Aide and a caregiver for Mary Crane. She continued her education and her excellent experience led her to be promoted over the years to the positions of Teacher Assistant, Lead Teacher, Family Worker and Site Director. Currently, as Mary Crane’s Director of Partner Sites, Lisa oversees our Head Start Program in nine classrooms at 6 sites. Her team includes two fantastic Family Workers, Denise and Magaly, and an incredibly skilled and compassionate Health Aide, Cynthia. Lisa experiences and shares so many heartwarming stories of families she has served throughout the years. She recently told us about Farebe Poole, a parent at Mary Crane’s partner site, Little Kids Village. Ms. Poole shared with Lisa, “I am so glad to be in the program. 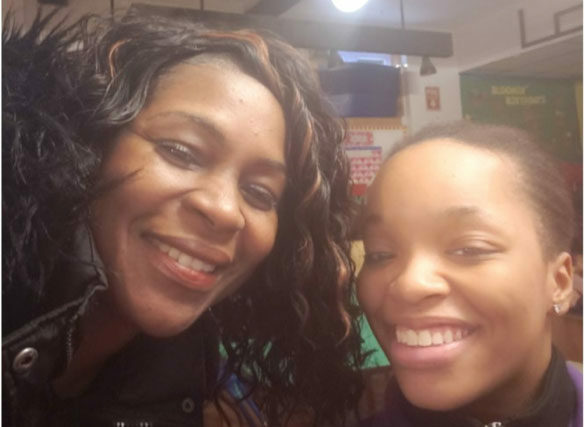 My child is finally receiving the help he needs.” Lisa had recruited this family from the Garfield Park community and enrolled Farebe and her son, Tristan Hays. Working with the Mary Crane Disabilities Coordinator, Lisa was able to facilitate a service pathway for Tristan. Mary Crane is incredibly grateful to Lisa and hope she stays with us for another 20 years! Welcome New Board Member, Laurie Gingrich!